We had another snow storm this week but thankfully did not get anywhere near the 12+ inches they were predicting. We even managed to make it through the week with our power intact! The older two boys have been hard at work on crafts and Alec has really taken off with modeling animals and making entire scenes following some YouTube channels. It's kind of weird for me to sit back and have so much free time to my days that I am often finding myself at a loss for what to do! 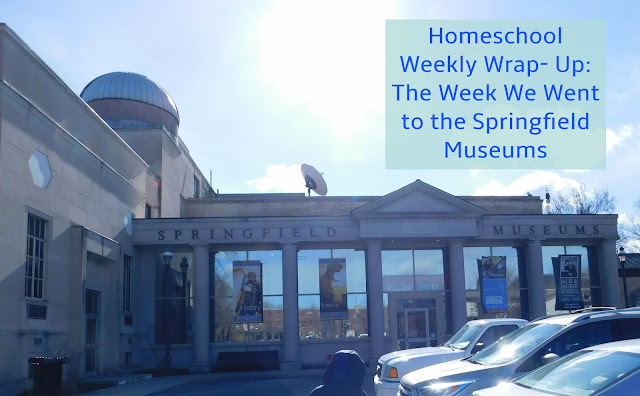 We met up with some friends at the Springfield Museums on Friday and toured all 5 museums in one day. The museums are all quite close to one another and admission prices include them all so my boys and I figured while we were there we'd see them all! We went through two art museums, a science museum, the Seuss museum, and a history museum. Ian headed off to work with his grandfather on Saturday while Evan went to work with his father. Alec stayed home with me and worked on making some new clay figures. Alec also baked a chocolate cake from scratch all by himself at my request and we made a mint chocolate poke cake for dessert. Evan finally had earned enough money to buy his Nintendo Switch so we brought him to the store to buy his console and a game. Both of the younger boys spent much of the afternoon playing the new game until they were so red faced and sweaty they decided to head outside and play a game while cooling off a bit. Ian headed to work again on Sunday with his grandfather and my husband took the younger two boys with him to his mother's house so he could work on a few repairs and they could visit with their grandmother. I spent the morning catching up on blog stuff and working on planning our family vacation. My husband and I went out to the movies and to dinner in the afternoon/ evening and my mother in law came over to watch the boys. Monday once the boys were all done school they convinced me to run a bunch of errands. Evan had scrounged up enough money to buy another Nintendo game so he wanted to go to Gamestop. Ian needed some spray paint for his model truck to we wanted to go to Lowe's and he needed more turtle food so he also needed to stop at Petco. Alec wanted to buy some resin and a few molds to make some little scenes with his new clay animals. He began making a pond with a waterfall with his heron as soon as we arrived home. All the boys finished their schoolwork by breakfast on Tuesday and after Alec's karate class we went on a 3 hour hike along a new bike path/ trail that we found along with a bunch of our friends. The other two moms have kids starting high school too so it was nice for us all to compare notes on how we're going to approach the next few years of schooling and what the kids plans are for after graduation. The kids all had fun breaking off into pairs and talking. They stopped by the side of the river to play for quite a bit and we saw quite a few woodpeckers in the trees (that flew away each time we tried to get their picture). We were supposed to get another foot or so of snow on Wednesday so the boys and I planned to stay home. Alec finished his heron scene and started on a koi pond and a shark scene. Ian put the final coat of paint on his turtle shelf and we moved that up to his room once it was dry. He then cleaned his turtle tank and moved everything he wanted onto his shelf. He also spent some time working on his model truck. He found that the spray paint worked so much better than trying to paint with a brush and began researching air brushing kits for toy models. His completed turtle tank shelf. He has plans for a much bigger tank! The snow never really started until after we went to bed Wednesday night so we woke to snow falling on Thursday. Luckily we only got a couple of inches and managed to keep our power! I think that's the first week this month we've made the whole 7 days with power. The boys did a bit of schoolwork in the morning and Evan finished up his math work for the school year. We just keep adding books to the done pile and it makes me so happy. The boys all did a bit of cleaning and Ian finished his model truck. Alec put a few more coats on his koi pond and hopes to finish that up over the weekend. We began looking at homes to rent for our vacation and found a few that we really like... now we just need to run them by my husband and sit down to hash out a rough plan of what we'd like to do while we're away. Yay planning vacation sounds so good! Look how cute yo are with the Cat in the Hat! That model truck is amazing and I love the Koi pond!! 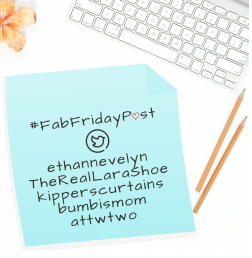 Super fun week and I hope it is an awesome weekend! I always have such a hard time planning our vacation though; rarely do we all agree on a destination and I'm left trying to find accommodations that satisfy everyone. Thanks for the compliments. He's got the koi pond out of the mold today and has been working on adding rocks all around it an a waterfall to it. I would love to go to that Seuss museum! So cool! You guys do the coolest things! We're planning a trip to the Smithsonian during April break, and I'm looking forward to it, but wondering how to prioritize! There's so much to see! We keep talking about a DC/ Smithsonian trip but I just know I'd be one of those people who tries to do IT ALL in a week and run the family into the ground. My younger two really want to see the national zoo and I can not help but think how wonderful it would be to see some FREE museums! That is so cool. I love museums and I would love to go to the Seuss Museum. Thanks for sharing your trip. Thanks! It was a lot of fun. Small but fun. What awesome crafts. I am glad you all kept your power. That area is really being slammed. We decided for multiple reasons to do our back up trip for spring break so we won't be heading up there after all. Boo Hoo! I was the last hold out. Maybe next time. That is a bummer but I'm sure you'll have fun no matter where you go. What a great week! I love all the crafts and the museum trip! We love the museum here and try to get to them when we can! Thanks! We try to get out to museums and parks whenever we can too; in fact I'm starting to feel like we're running out of places to explore. It was a lot of fun; a bit exhausting but fun. You always manage to fit so much into your week. Looks like a great week :) The museums look great. Thanks for sharing at Welcome To The Weekend Blog Hop have a lovely weekend. We really do manage to squeeze quite a lot into our days and weeks!